December and January may both be cold months, but for the senior-year GSE students, they are quite different experiences. In December, tensions can build up as the thesis submission deadline approaches. Last-minute changes are being made, spelling mistakes seemingly appearing out of nowhere, and submission rules being carefully scrutinized. For the GSE students, this is the culmination of almost two years of studying research theory and skills, planning, researching, and writing. 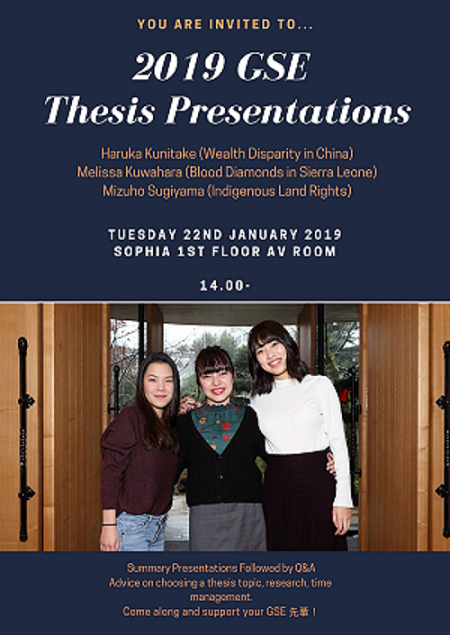 In January, senior GSE students meet with their supervisors and second readers to defend their thesis. This can be nerve-wracking, but is also an opportunity to talk about their motivations, research experiences, and the main findings of their work. Another important event is when the GSE students present their thesis to their juniors at a 'mini-conference'. This is real win-win, as it means they can share their work, but also their juniors can get a better idea of the challenges and opportunities that await them. One of the many strengths of the GSE course is that students can really follow their own passions by choosing research topics from across the humanities and social sciences. Because GSE students have so many different kinds of courses, study abroad, and volunteer opportunities, it is not surprising that their thesis topics are so varied. 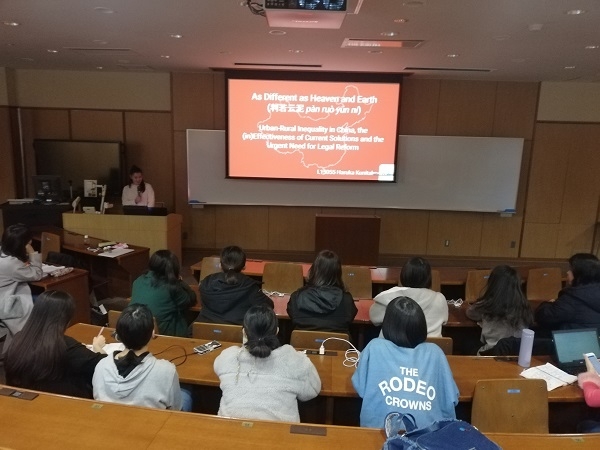 Haruka Kunitake researched and wrote about urban-rural inequality in China, stemming from her study in Economics, and also her experience travelling to China as part of a China-Japan friendship delegation in 2018. 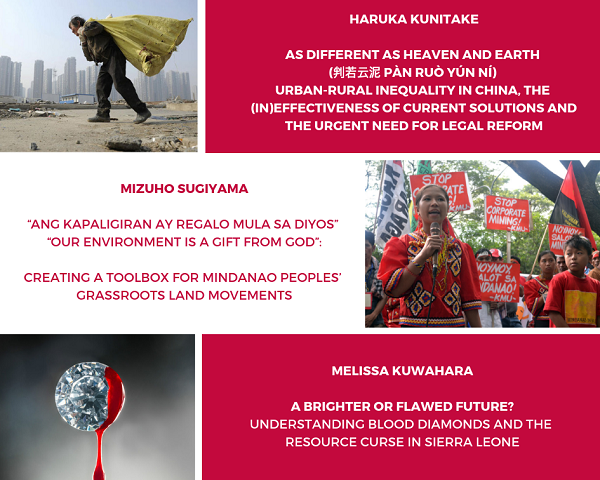 Mizuho Sugiyama talked about her work on indigenous land rights issues in Mindanao, Philippines. This connects to many of her courses, and also her volunteer work in Philippines. 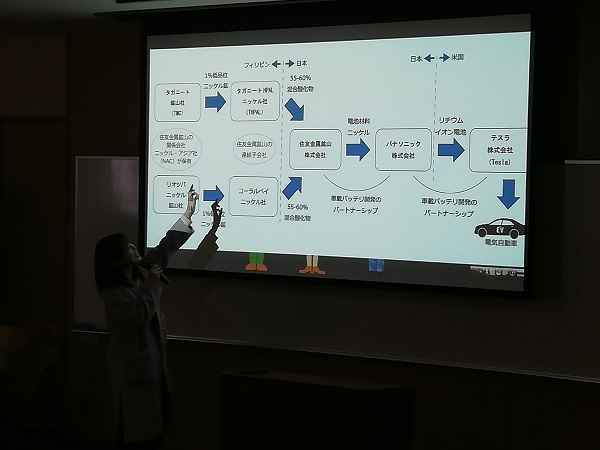 Melissa Yukari Kuwahara shared her findings on the problem of blood diamonds in Sierra Leone, a topic in which she became interested during Issues in the Modern World. Three very different topics, and three very different personal stories. However, one thing that is absolutely similar among these students is the quality of their work. This is entirely down to their hard work and determination. When they leave us, they will be missed, but I am certain that as they all enter their new jobs, they will be a great success. Copyright HIROSHIMA JOGAKUIN UNIVERSITY, All rights Reserved.